The Senior Project is the capstone project in the major and the culmination of my time at the UW. As such, it is an opportunity to show people what I have learned and what I am capable of doing, as well as a way to assess my own abilities at the end of my time in CEP and the UW. Beyond that, the Senior Project should be something of consequence to me. It should be meaningful to me as well as a source of pride. Alleys are often ignored and unwelcoming spaces to most people. Despite this perception, many alleys have great potential as public spaces and pedestrian connections. 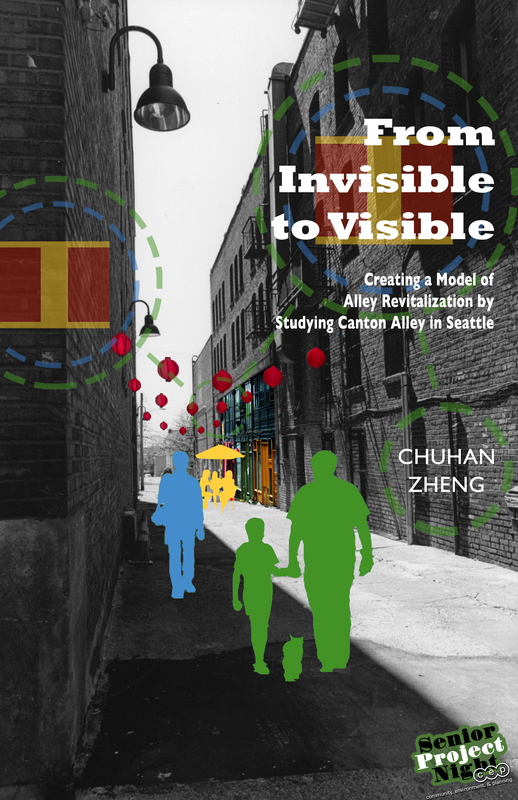 The Chinatown Historic Alley Partnership (CHAP) is a project that aims to revitalize the Canton Alley in Seattle’s Chinatown-International District (CID). A Schematic Design Report has been recently created that details the physical improvements required to revitalize the alley. However, no schematic has been created for what I call the “invisible changes” that are needed to transform the space from an attractive alley into a vibrant public space. In order to fill this need, my senior project identifies and records the history of the alley and its buildings as cultural and social spaces. By understanding the activities that have taken place in the alley over many generations, I am able to recommend new uses for Canton alley that are historically and culturally appropriate. 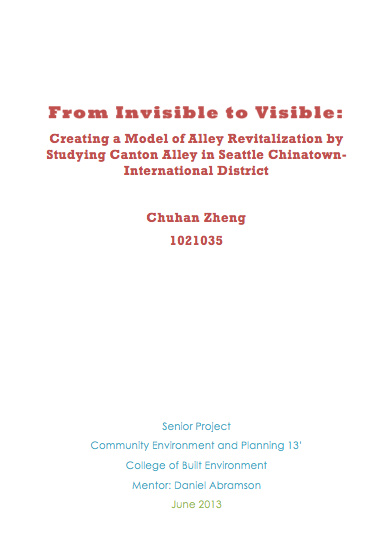 Moreover, by comparing the revitalization of Canton Alley to other alley revitalization projects in the US, I am able to create a model of general alley revitalization process of transforming these unwanted spaces into useful and lively public spaces. Please click the image for each item below to download the full size documents.